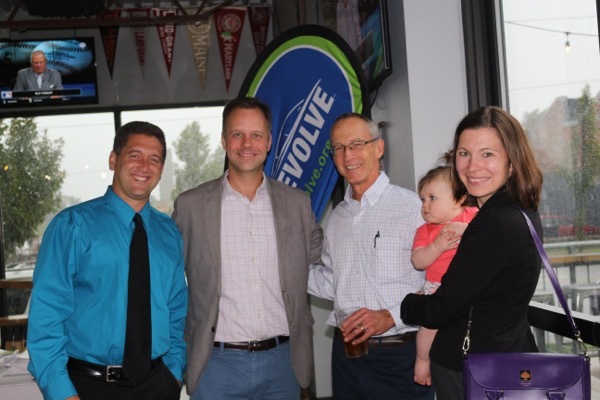 Electric Vehicle owners and enthusiasts gathered at Land Grant to learn about EV history and technology, the Drive Electric Ohio program, and what Land Grant is doing to be more sustainable. The car show took place in the lot across from the brewery. A gathering open to all electric vehicle (EV) owners and those interested in owning an EV! Volts, Teslas, LEAFs, converted cars and more will be there. There will also be info on EV history and technology, our Drive Electric Ohio program, and what Land Grant is doing to be more sustainable! Join us for our National Drive Electric Week tailgate party! Register to attend and/or bring your own EV by clicking the blue button at the top of this page and you'll be entered to win a chance at a $250 gift card. Registered attendees report 54,101 electric miles driven.